Chen Han is a Chinese artist best known for his distinctive painterly style depicting moments frozen in time. 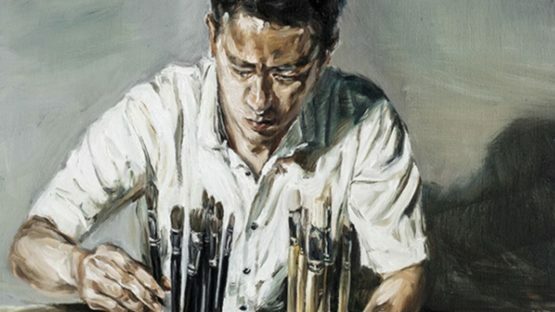 Han was born in 1973 and in 2005 he graduated from the Lu Xun Academy of Fine Arts in Shenyang, provincial capital and largest city of Liaoning Province. 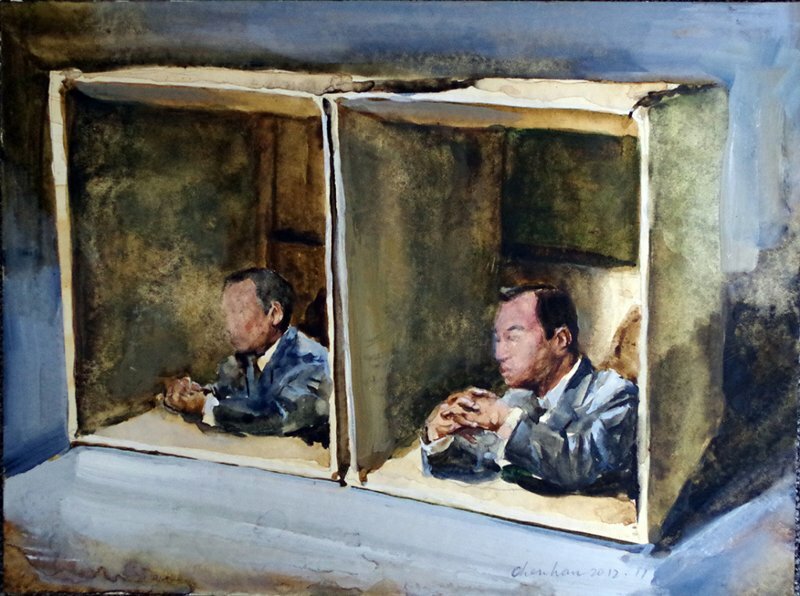 Chen Han’s work, mostly on paper, was exhibited in many shows throughout the entire China. He likes to use different techniques, such as watercolor or oil, but he is always true to his own personal style he developed during time. 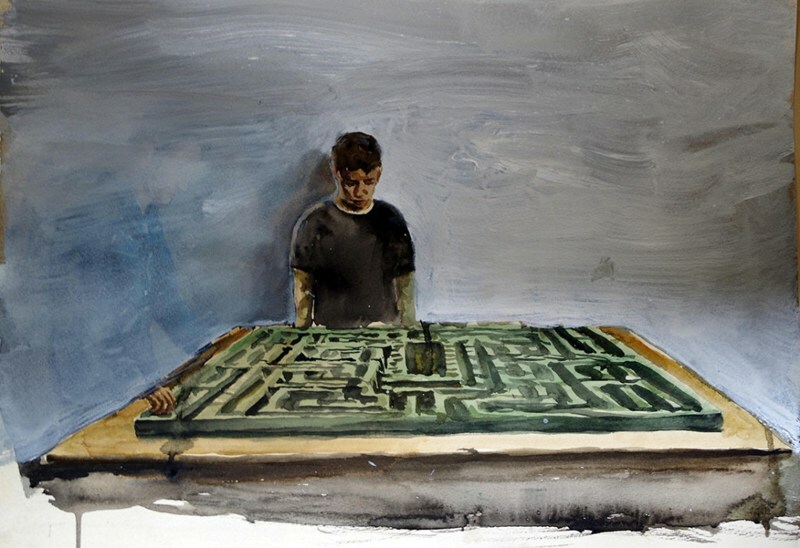 Han’s artwork hold some of the cinematic atmosphere, he presents to the viewer just a small piece of one particular moment. However, that seems to be enough – as he is using a film director’s narrative techniques to make the viewer feel the story without any further detail. His human figures seems a bit isolated and alienated, but at the same time, a certain closeness can be felt, just looking at the canvas. This artist is represented by Anna Zorina Gallery. Chen Han lives and works in China.